You've come to the right place if you want to learn how to make delicious authentic Indian food. Allow Ren to take you on a sensory journey through the world of spices and you will leave your class feeling confident and with a lifetime skill to create mouth-watering Indian meals in your own home. 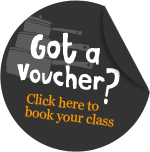 Whether you are a novice or a chef we have the right class for you! Ren's Kitchen offers both group and bespoke tailor made Indian cookery classes. All our classes are hands on. You do all the chopping, stirring and cooking. The food that you cook is all yours to take home with you and enough for two ravenous curry fiends. Ren's delicious range of recipe kits, handmade with our divine fresh spices. You control how hot or how mild to make your dish using our genius Chilli-Ometer. No measuring, no storing, no wasting. Give a man a curry and he'll eat for a day. Teach him to cook great Indian food and he'll feed himself for a lifetime….and hopefully his friend who bought him the voucher too!